The on-invitation conference “Green Computing” in Stockholm yesterday organised by Fortum Energi gave great insight to a new innovative energy model for Data Centres. The Open District Heating concept permits data centre site operators to sell their excess of hot air from the cooling of the IT equipment to the distribution network managed by Fortum Energi (and others). The event was packed with major industry people and end-user enterprises as energy cost is a major subject for this industry. I had the opportunity to participate in one of the panels “Energy Efficiency Improvements in the Data Center Industry” with people from Interxion, Netpower Labs and Granlund. If you are interested in the Open District heating concept please contact Fortum Energi (Per Gullbrand). 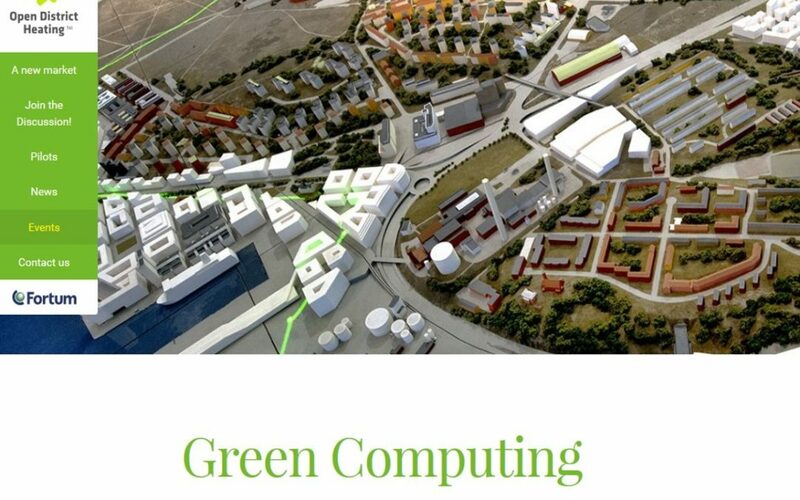 You can find the event site at http://www.opendistrictheating.com/event/green-computing/. My short abstract can be found at http://www.opendistrictheating.com/join-the-discussion/financial-viability-and-elasticity-emerging-subjects-for-data-centers/.